﻿ FrontLine Georgia » Archive » Discussion: Why do we need Charlie Hebdo? Discussion: Why do we need Charlie Hebdo? A few days ago, the streets of Paris and other cities in the world, were filled with citizens expressing their condolences for the victims of terrorist attack on the satirical publishing house stating – “I’m Charlie”. To show their solidarity, world’s political elite united in peace march in Paris; some European publications reprinted Charles Hebdo’s caricatures. With this act they clearly supported the freedom of expression, as fundamental value, which represents the foundation for the development of society. At the same time, critics of solidarity action appeared who said, – “I’m not Charlie”. 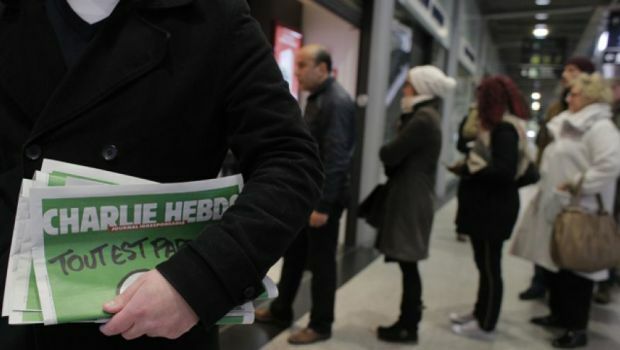 Some American and European newspaper refused to reprint the caricatures, despite their solidarity with Charlie Hebdo. These people had several types of argument. Some would say that no one has the right to offend the religious feelings of people, and if someone does so, he should expect “a bullet in the forehead.” Others were clearly condemning the terrorist attacks, but stated that Charlie Hebdo caricatures that offended religious feelings of people are unacceptable. The third part said that Charlie Hebdo’s caricatures were racism towards Muslim believers, marginalized and oppressed groups in France and, therefore, they could not express solidarity towards the publishing house.